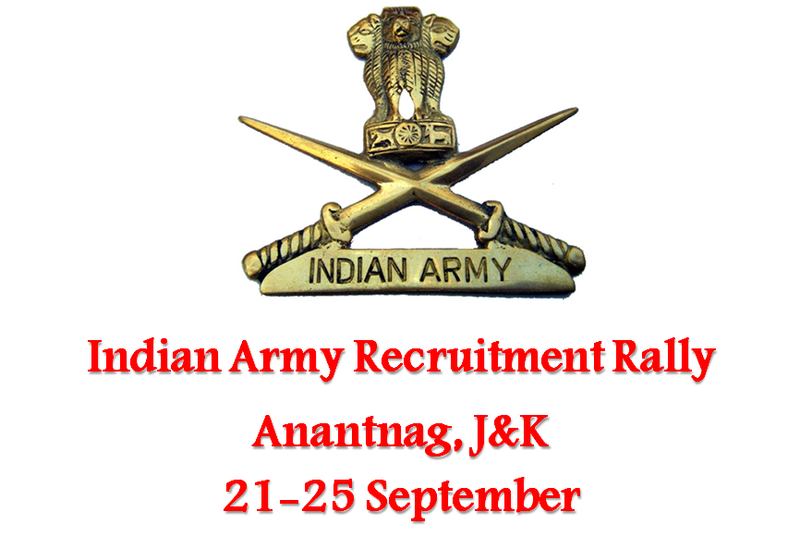 Indian Army recruitment rally for South Kashmir has begun. The 5 day long rally is held for recruiting eligible candidates as Junior Commissioned Officer or, as an Other Rank. Srinagar: Indian Army recruitment rally for South Kashmir has begun. The 5 day long rally is held for recruiting eligible candidates as Junior Commissioned Officer or, as an Other Rank. Army recruitment rally will be held for 5 districts of South Kashmir namely Kulgam, Shopian, Badgam, Anantnag and Pulwama. The venue of the rally will be Anantnag. On the first day of the recruitment rally near about 500 candidates had appeared. According to the officials, though more than 12000 youths had applied for the same, still more could have applied had there been no issues in internet connectivity. Army recruitment rally draws huge number of candidates. Despite being the worst affected place of the ongoing tension, candidates had turned up for the recruitment. The online application procedure for the ongoing army rally was held from 01 May till 30 August. 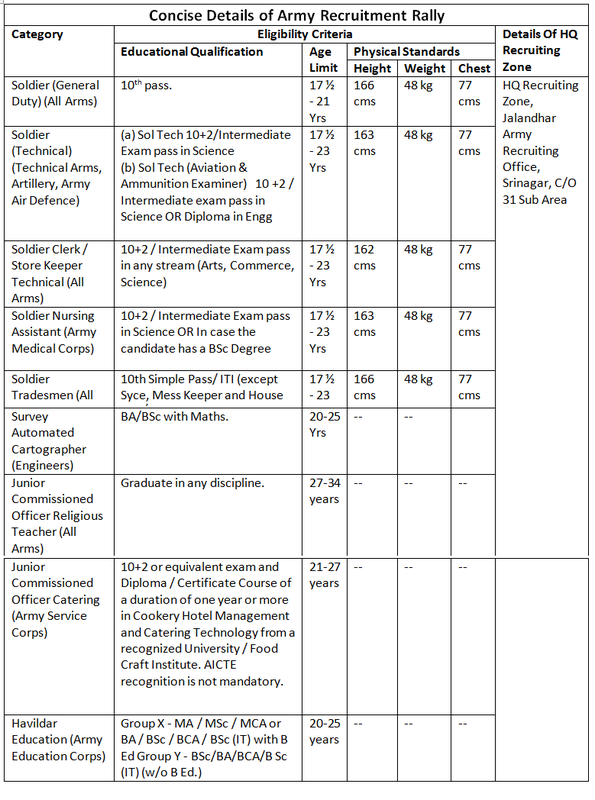 Indian army also allows relaxation to candidates in physical standards to candidates belonging to special categories. Additional bonus marks will also granted in the written examination, details of which can be found in the official portal of Indian Army.